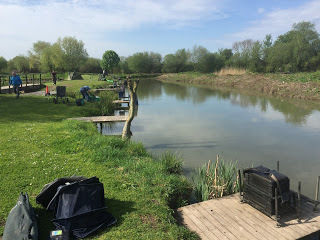 The weather was glorious as I loaded the car and headed for Bridgwater and things got even better when I arrived and Pete said as there were fifteen anglers fishing today, we’d all be on Sellicks, so no Lily today! 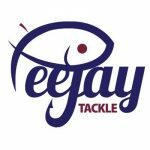 There was a match on Longs as well and just before they started, one of the anglers came up and had a natter about the blog, he said he enjoyed reading it and checked out some of my posts about Longs before the match today, I didn’t get his name but it made my day and I hope he bagged right up! 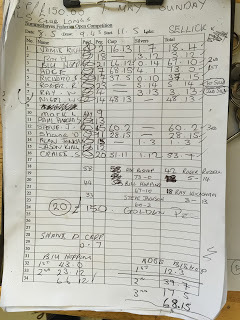 Pete got Adie Bishop to draw the golden peg and it was peg 20 again and as it’s a decent silvers peg, could I draw it for the third match on the trot? No was the answer but I was very happy with peg 2 which is also a great peg for silvers. Ray Wickham was on peg 4 and I could see Roger Russell over on peg 23 and he just looked happy he wasn’t on Longs peg 6 for a change! It was already turning into a scorching hot day and one of my first jobs was to slap on the sun screen. I set up a 0.6 gram Drennan G-Tip to fish two thirds across at 8.5 metres and also at 5 metres and a 0.4 gram Drennan Carp to fish in front of the empty peg on my right. Bait-Tech 4mm Xpands for the hook and micros for feed were on the side tray. Ray wandered up just before the start and I made sure all my pole sections were out of the way! On the whistle I fed all three lines with half a pot of micros and started on the longer line, I didn’t think a big weight would be needed to win the silvers, especially with it being so hot and bright and I thought 7-8lb would be enough today. After 30 minutes, I was still waiting for my first bite! Ray had landed a small skimmer but not a lot was happening as far as I could see. The first fish I hooked was a carp (not ideal) and was obviously foul hooked (even more not ideal) but wasn’t on long (ideal!). The next fish I hooked was another carp and this time I came back with a scale on the hook, I landed the next fish but as it was a carp, my silvers net was still empty at the end of the first hour. I tried in front of the empty peg but never had an indication there so it was back to 8.5 metres as I wanted to leave the short line as long as possible. Half way through the second hour I finally had a skimmer and when I hooked another on the next chuck I thought I was on my way but somehow it turned into a 6oz carp when I netted it! I foul hooked a couple more carp as well and it looked like Ray was having the same problem. Jacko on peg 5 and Adie Bishop on peg 7 were both catching carp quite well. Several times I struck into carp and was convinced they were skimmers, only for them to wake up as I shipped back and I’m pretty sure the majority weren’t hooked in the mouth. I did catch a 10oz tench as we reached the half way point but things would need to improve drastically if I was going to challenge for an envelope today and I was counting on my short line coming good later. I did catch a small skimmer but with only a couple of hours left, I was going nowhere fast. I tried the shorter line for the first time and it was a massive anti-climax and back to 8.5 metres just resulted in more foul hooked carp. Ray landed a nice eel and Jacko and Adie looked like they were having a right battle, matching each other fish for fish. I wasn’t too upset to hear the final whistle and my final tally of one tench, two skimmers and half a dozen carp wouldn’t be winning any prizes today. I was first to weigh and my modest silvers ‘haul’ went 1lb 7oz and my carp weighed 16lb 13oz and it was a good job I didn’t have any side bets today! Then we got to Ray and along with the eel I’d seen him land, he’d also sneaked in a nice tench and another eel to weigh 3lb 13oz. Jacko had 60lb 2oz but Adie won their battle when he weighed 73lb, he also went into the silvers lead with three crucians for 4lb 1oz. Mark Leahy didn’t weigh on peg 9 and Shane had 28lb 15oz from peg 11. Jason in peg 12 didn’t weigh, Nigel Wickham had 48lb 13oz from 14 and Alan Jenkins had 1lb 3oz of silvers next door. Richard S had 37lb 15oz from 17 and Roy Hughes had 3lb 12oz of silvers on peg 18 and was hoping Adie would frame! Craig S did well on peg 20 to weigh 53lb 7oz but it wasn’t enough to win the golden peg. Bill Hopping went into second place with 67lb 10oz from peg 21 and last but not least was Roger on peg 23, I thought he’d struggled and he wasn’t admitting to much but his 5lb 14oz was enough to win the silvers, he had a lovely rudd/bream hybrid that was pushing 3lb which helped! So some decent carp weights but it was a struggle for most of the silvers anglers although the conditions haven’t done us any favours today. 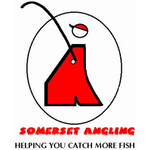 Next week I’m at Dillington for the first match of Ilminster AA’s Summer League and it’s been fishing really well so hopefully we should be in for a good day.